Harrisburg, PA – Governor Tom Wolf today announced an additional $10.5 million to help preschool-age children transition to kindergarten. The funding from the U.S. Department of Health and Human Services builds on the governor’s commitment to expanding early education for Pennsylvania’s youngest children. 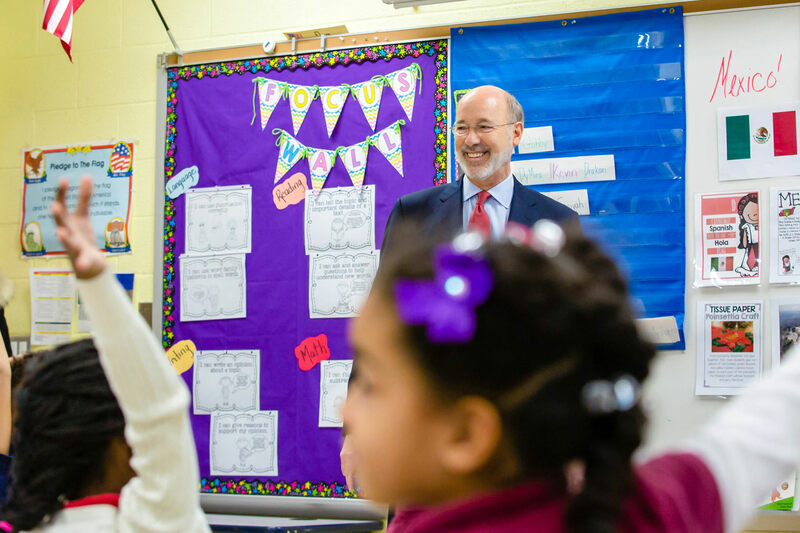 Since taking office in 2015, Governor Wolf has successfully worked with the state legislature to expand state-funded preschool by $115 million, adding more than 9,600 slots in Pre-K Counts, and an additional 1,300 in Head Start Supplemental Assistance Program. The Pennsylvania Office of Child Development and Early Learning (OCDEL) applied for the federal Preschool Development Grant, which will be used to provide professional development for early learning educators and to promote partnerships among early learning providers, community agencies, and school districts to help children prepare for successful transitions from early learning programs to kindergarten. OCDEL is a collaborative effort between PDE and the Pennsylvania Department of Human Services (DHS). Funding will also support strategic planning to expand access to behavioral supports for medically eligible children birth to age 5, and recruit coaches currently in ECE programs to participate in a coaching support pilot project. More information about the Commonwealth’s early learning programs is available on the PDE website or the DHS website. Visit the Preschool Development Grant program for more information.